The Artisan Tour takes place on Saturday mornings and includes visits to a variety of Artisan producers in Kelham Island, Sheffield. 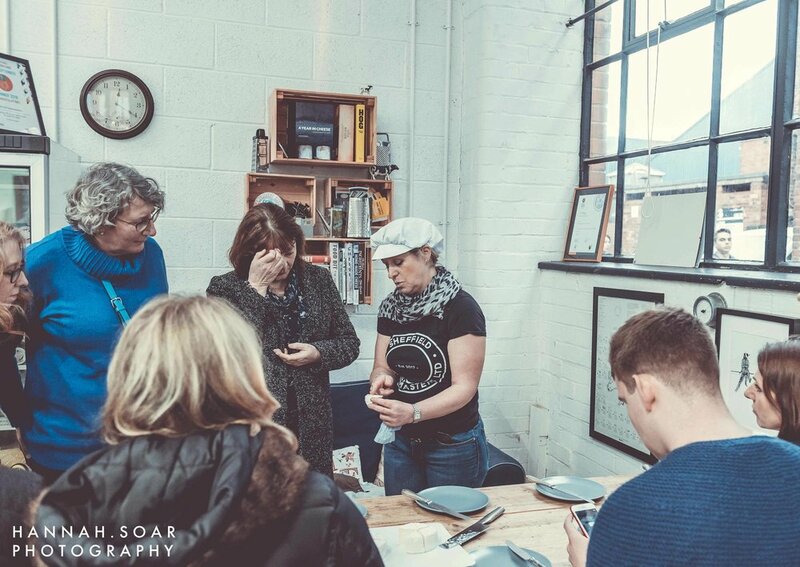 A unique food and drink experience, this walking tour of Kelham Island, Sheffield is a fun, social and informative way to discover the area, meet the people behind the Artisan businesses and taste their fantastic produce. Gain insight into the intricate detail of production and sample the finest quality coffee, cheese, chocolate, baked goods and local produced gin and beer. All food and drink provided is included in the price of the ticket. Quick-stop at award winning Kelham Island brewery shop for those that want to pick up a few take-homes. Many venues are offering discounts for any purchases made on the day and future bookings.